Whether you’re into sports or not, we bet you’ll attend at least one game-day gathering this season. If you’re not excited about the game itself, why not get excited about the FOOD?! 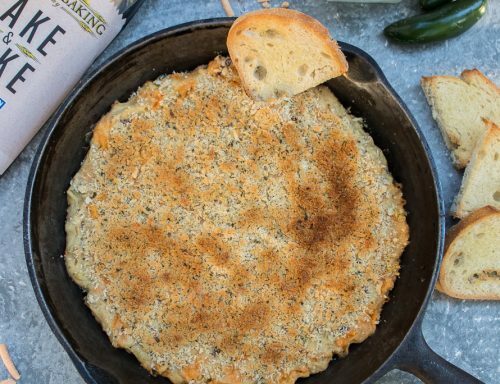 This jalapeño popper dip is the perfect addition to any game day table and is both vegan and gluten free! Jalapeño poppers are a common crowd-friendly snack, but we wanted to give this yummy combo a twist. 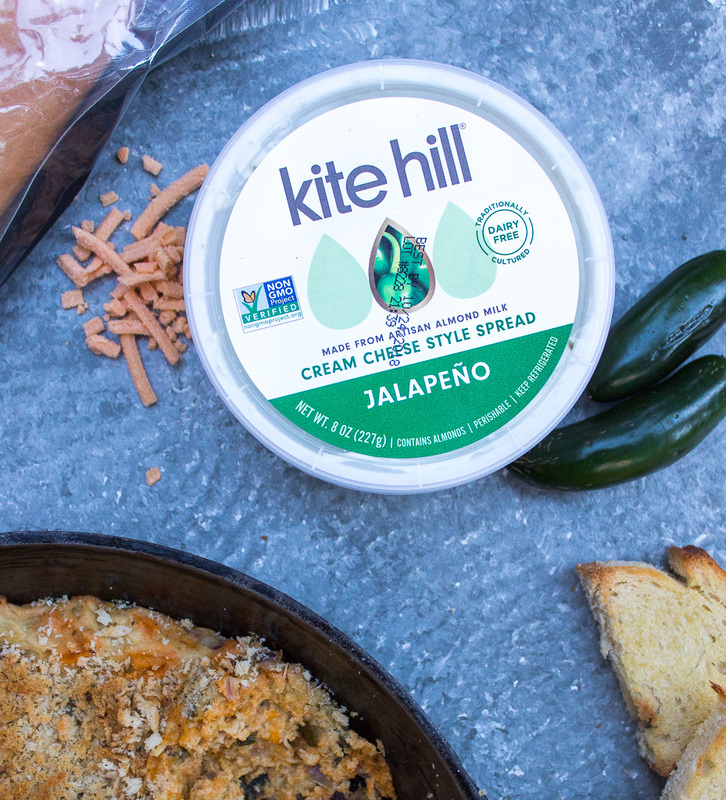 We’re using Kite hill cream cheese as the base, for a healthier, allergy friendly alternative. In addition we whipped up a homemade cashew “sour cream” and used Follow Your Heart vegan cheddar shreds. All the flavors you crave are present in this dairy-free, plant based dip! 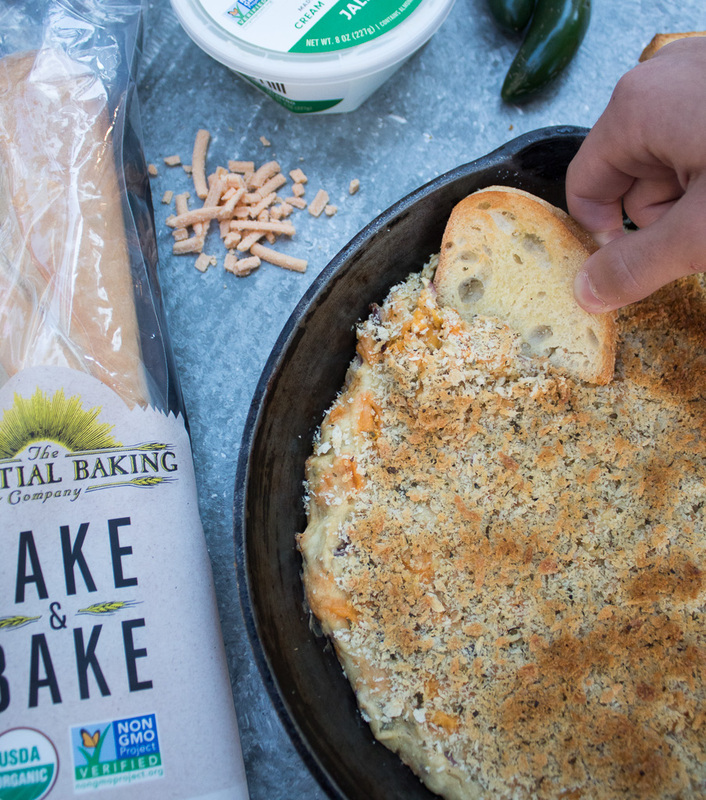 No dip is complete without some star dippers, that’s why we chose Essential Baking’s “Take & Bake” bread. 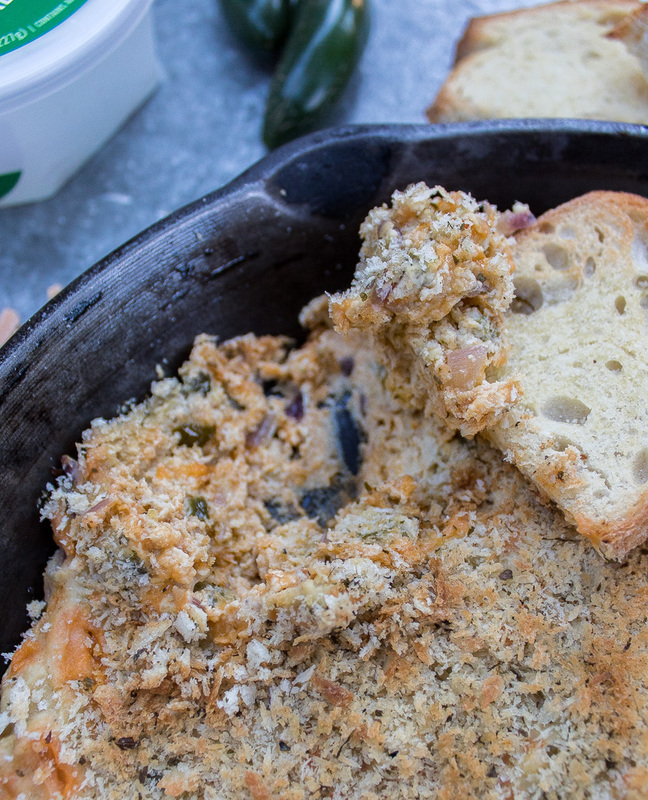 Something as simple as warm, organic bread is the perfect vessel to carry this creamy jalapeño dip. The best part is all the items we’re using are on sale this month! 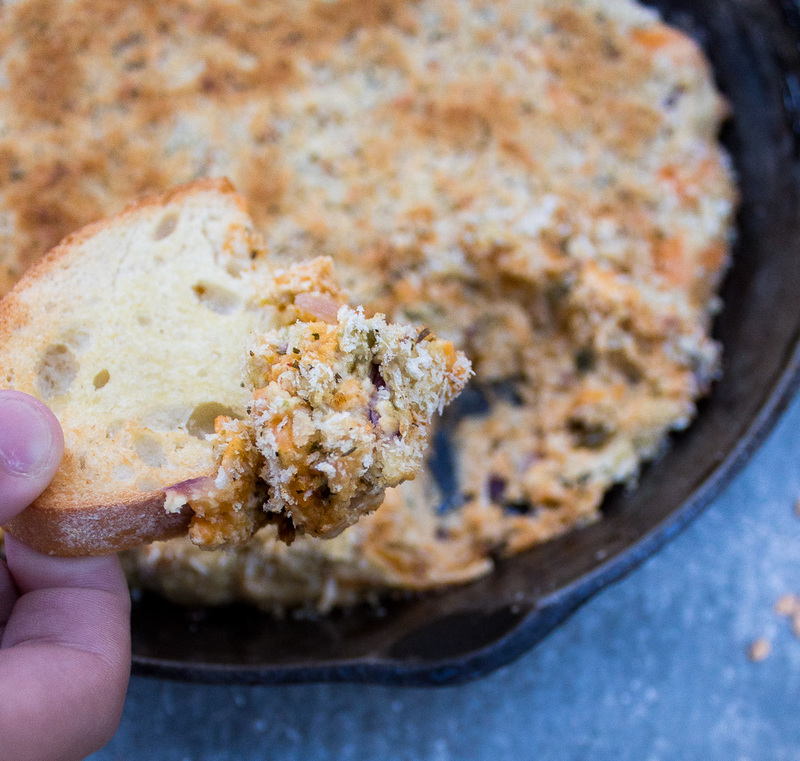 Make this dip for a crowd, or enjoy it at home for a decadent Sunday treat – we know you’ll love it as much as we do. Let us know if you try it out by giving us a shout out on social media! Now let’s get cooking. Start by making your cashew sour cream: blend the cashews with lemon juice and water until smooth, adding more water if too thick. Add salt and pepper to taste. Set aside. In a cast iron skilled, or other oven-safe pan, sautéed the onion and jalapeño until fragrant then leave to cool. While you prepare the dip, bake the bread as per the instructions on their package. In a large bowl combine the cream cheese, seasonings, shredded cheese, and sautéed onions and jalapeños, is using. Pour the cashew sour cream in and use a big spoon to mix well until the seasonings blend in and the cheese and vegetables are evenly distributed. Next, in a small bowl mix the breadcrumbs with melted oil/butter then spread over the top of the dip.